As many people in the western world pay closer attention to what goes into their bodies, labels, nutrition facts, and wave-upon-wave of fashionable celebrity diets are here to stay. Many brands charge premiums for organic, fair trade, or free-range; and restaurants that celebrate artisanal goods now have the hottest tables in every city. This increasing food awareness is an important first step in making a connection between the urban and the rural--caring where our ingredients come from. However, few of us take these concerns to next level: to ask the crucial question of what impact our food choices are having on the natural world and, in particular, the tropical forest ecosystems where more and more food supplies originate. This important next step is the focus of this year's Kooben Gastronomic Festival in Merida, on Mexico's Yucatan Peninsula, which kicked off on November 2nd. 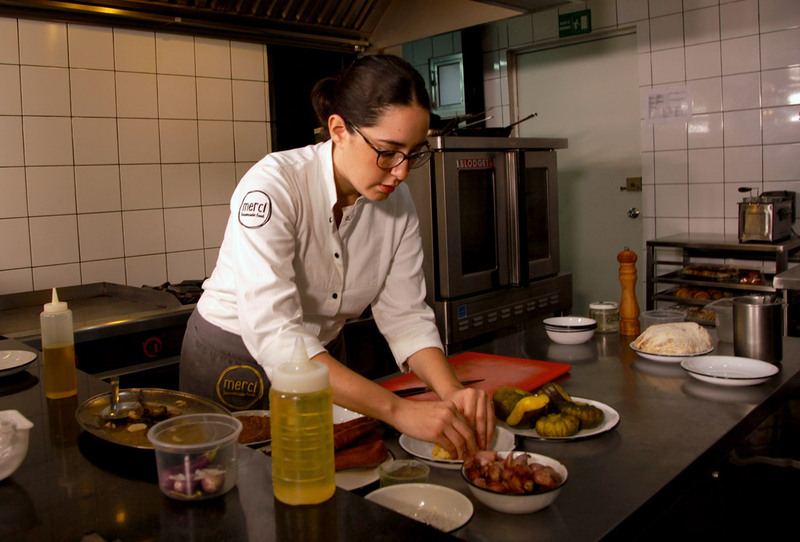 The Nature Conservancy has partnered with Kooben and five of Mexico's top chefs to celebrate the country's unique cuisine and the sustainable practices that go into making the best ingredients. This collaboration highlights some of TNC's work with rural communities across the Yucatan Peninsula to improve the way they produce food--increasing their incomes while protecting their forests. Unfortunately, as in many places around the world, the current food production system in the Peninsula is not sustainable. 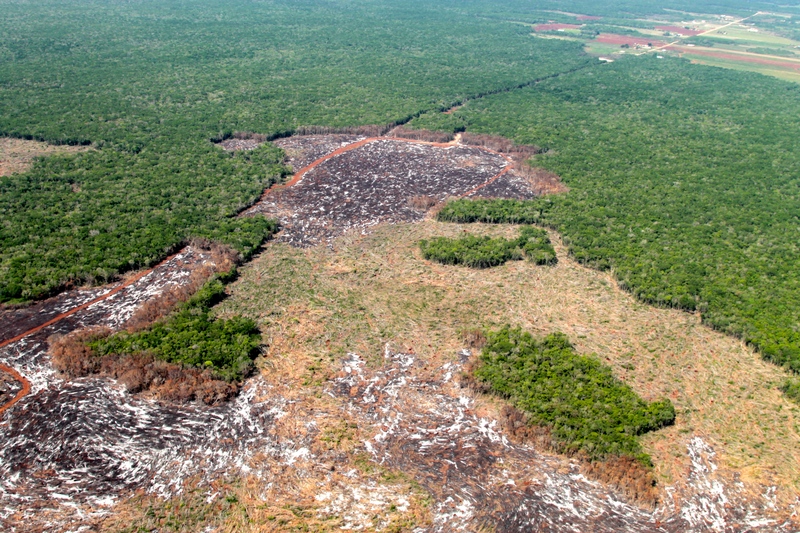 The Yucatan Peninsula loses more than 80,000 hectares of forest each year--roughly equivalent to losing half of Mexico City annually--due to inefficient ranching and expansive agricultural practices. These practices, far from improving the lives of local people, actually deepen the cycle of poverty in the region by threatening food security, reducing access to clean water, and increasing vulnerability to drought and hurricanes. They also contribute to climate change by releasing the carbon stored in the Yucatan's vast tropical forests into the atmosphere. The Nature Conservancy is working with government, the private sector, banks, and local communities throughout the Peninsula to turn this story around and show that we can produce our food without destroying the natural resources that sustain us. We have mapped out the entire Yucatan Peninsula to show where food can be produced to meet the growing demand in the region without destroying the uniquely diverse Maya Forest. The map first identifies the areas that are most critical for conservation due to their high carbon content, their importance for water recharge, or their functionality as a critical wildlife corridor. Those areas are then zoned for specific forest-friendly activities. The map spatially defines where producers can achieve the highest productivity for 19 of the Peninsula's main crops. Land managers, commodity buyers, policy makers, and credit providers can use this powerful tool to orient their financial resources toward producing food in the most efficient, deforestation-free manner. Additionally, we have established a monitoring system that uses state-of-the-art technology to monitor land-use dynamics across the Peninsula. The system employs three levels of monitoring tools from the field, to the air, to space. At the field level, we have trained local communities to use mobile tablets to monitor how changes in their land use practices change not only their productivity and profitability, but also their impact on carbon, water, and biodiversity. In the air, we employ a drone to monitor the way the forests are changing at the landscape level and to better understand the main drivers of deforestation. Finally, we are analyzing and refining satellite imagery within the Maya Forest Watch, a collaborative monitoring platform that allows policymakers, researchers, and NGOs to access and share new maps and tools that help them keep a close watch on what is happening the in forests in near real-time. 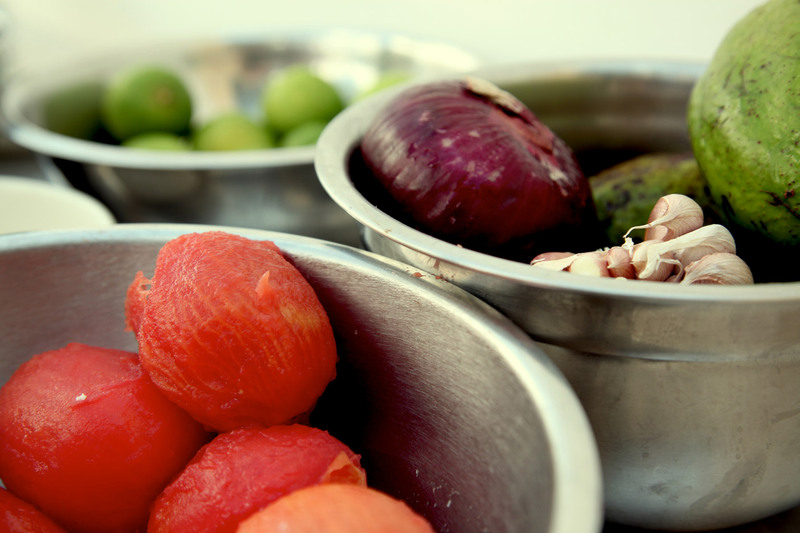 With the development of these tools, and others, The Nature Conservancy is helping to ensure that food production in the Yucatan Peninsula is sustainable and that local communities can continue produce the unique ingredients that make its cuisine world-famous. So, whether it's beef, corn, fruit or vegetables you like, make a commitment to learn where your food comes from and how it impacts our critical natural resources. In doing so, you'll be supporting a growing movement--showcased at this year's Kooben Gastronomic Festival--to make local, sustainable, deforestation-free ingredients the next big foodie trend.